Athletes of similar ability level pair up. Athletes trade when A1 is done, total calories subtracted 1 for 1 from team time. See the Bear Gary, be...., be the Bear Gary. Melissa swinging with a new found intensity, way to go Silverback. 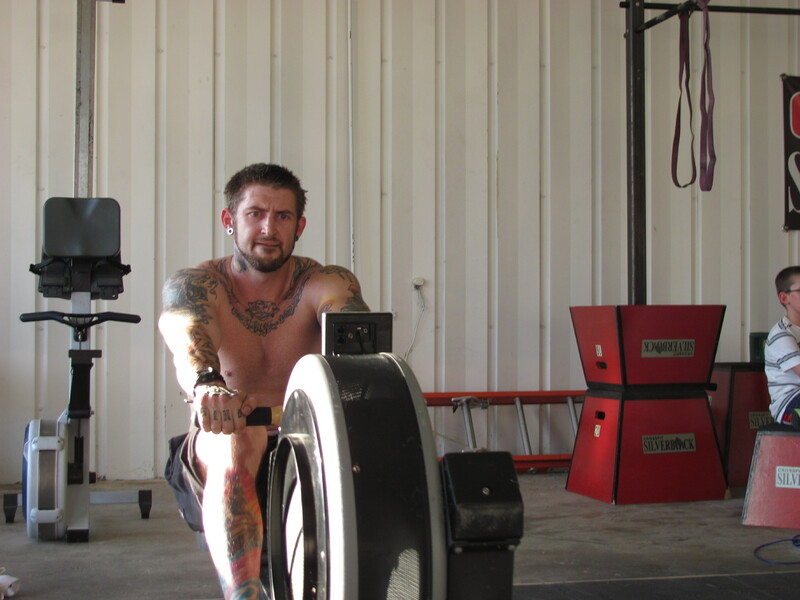 When it's hot enough and you row hard enough, you never know what you may see on the monitor. Ginnie and Shanda reflect on their first visit to the Silverback Nation. FANTASTIC JOB. 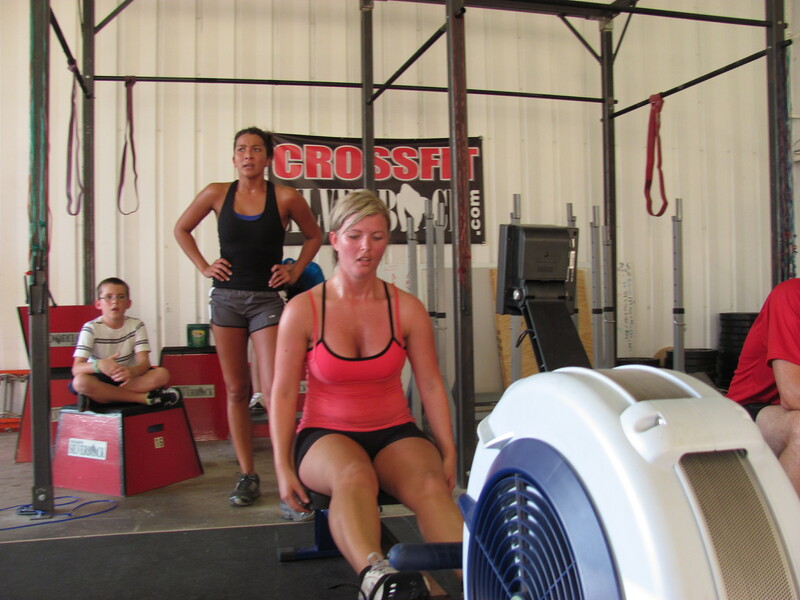 we completed the WOD in 8:54 and rowed a total of 107 cal giving us a time of 7:47! Push jerk 75-95# Pretty sloppy and need to work on form. Thanks Nena for being a great and understanding partner. See that’s why I wanted to do the heaviest weight first. Teamed up with Anthony this morning 7:54 with 99 calories for 6:25. First time to use the 80Kb, we don’t like one another. Great job Anthony. All Jerk no Push this morning, I have to be a stickler on the form, strict form now will mean much bigger totals later. Cognitive skills @ 0500 not my forte. My ability to do math, or even follow basic wod instructions, is severely impaired. In other words, I’m a moron so I have no idea what our score was (and whatever it was, I ruined it because I couldn’t seem to keep track of the sequence of events). Time was 9something with 143? calories (Steve did a great job on the rower and with the kettlebells). Good coaching on my last set of PJ, Matt. 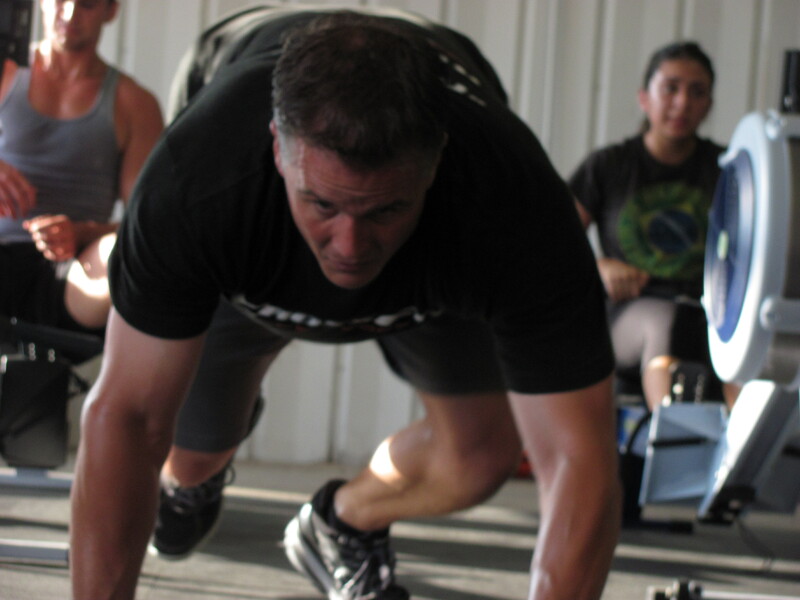 I need to man up, move my feet and push myself under that bar and have confidence that I can lock it out and hold it. At 175, I’m still jerking less than I can press. Did the WOD today with Leslie. We rowed for 96 calories and time was 6:05. Way to work Leslie. Love team work!!!!! Lindsay, Thanks for being a great partner. Awesome push jerk too, you are crazy strong.